Summer is fast approaching and for us, June is always a busy month of graduations, weddings, Father’s day barbecues, and ice cream. It’s when we dust off our ice cream maker to whip up home made concoctions such as mint chip gelato or dulce de leche ice cream or enjoy it straight from the carton. We’re no strangers to Häagen-Dazs® ice cream; it’s one of our favorite brands, and recently we tried a new flavor, matcha green tea. Since we’ve been holding our macaron baking parties we thought it would be a perfect treat to share with our students. So before the class, we whipped up a batch of black sesame macarons, but made them ginormous like your classic ice cream sandwich. We softened the Häagen-Dazs® ice cream and put them in a flat tupperware to refreeze. Then using a round biscuit cutter, disks of green tea was scooped out and sandwiched between the macarons and refrozen. While this was a bit tedious, we think adding a scoop of soften ice cream and squishing them down would have been just fine as well. 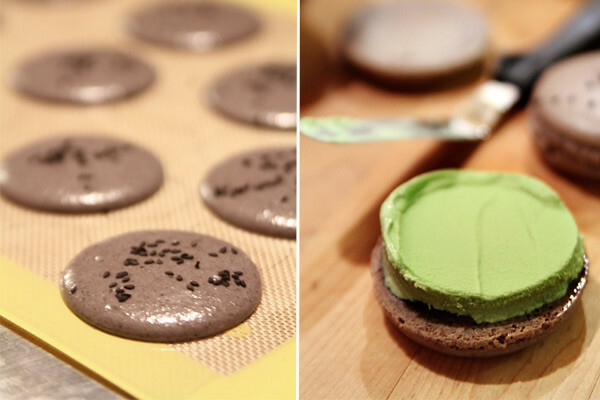 Macarons are the perfect cookie to freeze. The texture actually gets better with age and keeps well frozen unlike other cookies. 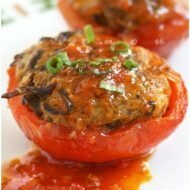 Allow flavors to absorb for at least 24 hrs and remove from the freezer about 5 minutes before serving. 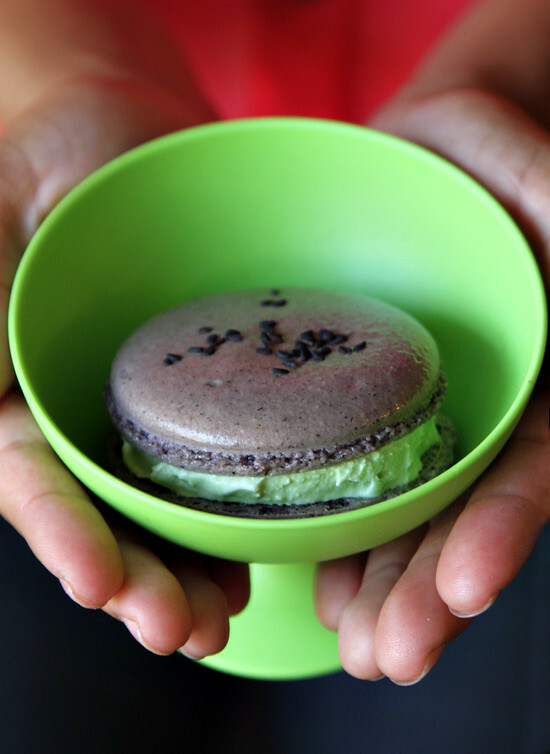 Here’s one of our student’s testing out our black sesame macaron with Häagen-Dazs® matcha green tea ice cream. These two flavors paired perfectly as the black sesame was sweet and nutty while the green tea had a balanced, subtly sweet and wonderfully fragrant flavor. Everyone loved the delicate flavor of the ice cream made from real matcha powder and many commented on how light it tasted and how it didn’t taste too sweet, a common compliment for Asian desserts. We couldn’t agree more. Whether in a macaron sandwich or simply straight out of the carton, Häagen-Dazs® matcha green tea will defintely be a flavor we’re keeping in stock. For the macaron recipe, please see bravetart.com. Really?! You guys created a sensational Asian macaroon flavor that also breaks the mold for this cookie. Great job! I love this! I make black sesame ice cream all the time, but this is taking black sesame to a new level. Gorgeous photos, as always. Looked so delicious. Thanks for visiting my blog and I have a reply to your question in my blog. What a wonderful combination. I’ve had success with BraveTart.com recipe, finally. 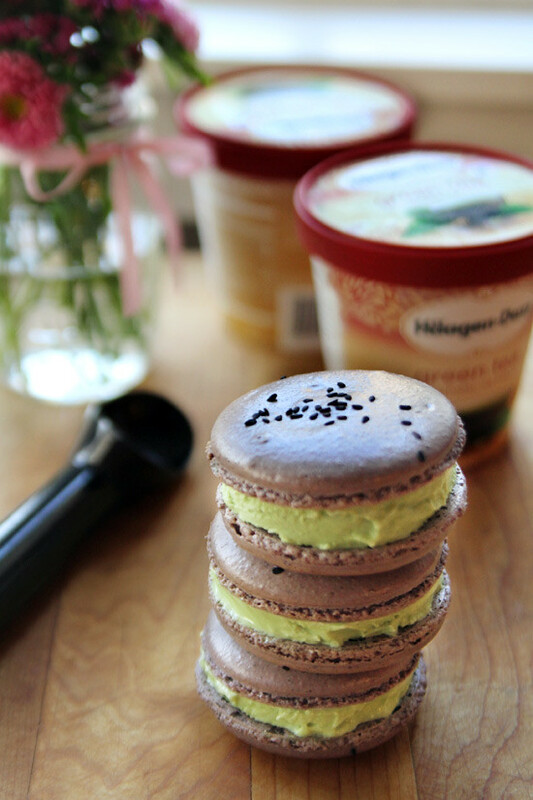 I like the idea of using ice cream for the filling…and who wouldn’t love oversized macarons! Hi! 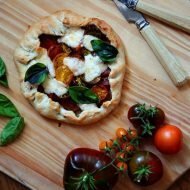 I’ve been following you on fb as well as your blog! 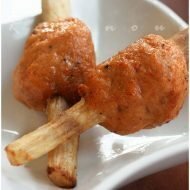 I just wanted to see if you have or know of any recipes for kem chuoi? Thanks a bunch! How did you pipe the macaron shells so evenly and what tip did you use? This sounds amazingggg! 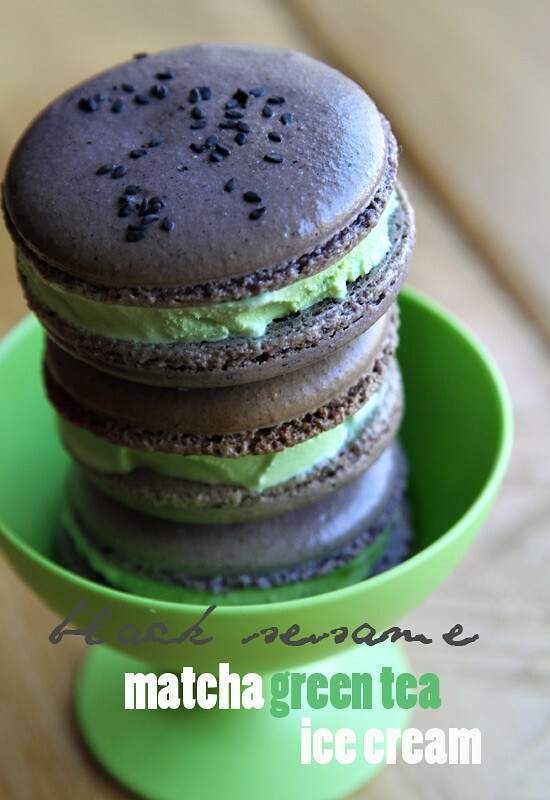 Where would I find the recipe for the black sesame macaron?